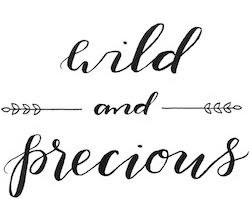 Wild & Precious: tripple D.
The Vandy Loot: 1 mini fridge, 1 10 inch TV, 1 standup lamp, 3 t-shirts, 2 pairs J.Crew bermuda shorts, 4 longsleeve Gap T's, 2 pillow shams (Christie will use in her quilt), 1 pillow (for Oscar's bed), 1 can organic black beans, paper towel dispenser, umbrella, black crate, surgar cookie mix, taco seasoning, 4 summer reading books, 1 bathing suits still with tags, 1 small space fan, 1 Ralph Lauren Lambswool Pullover, Vanderbilt sweatshirt blanket, 3 set of bed raisers, 1 trunk..I think thats what you can call 45 minutes well spent. HOLY CRAP!!!!!!!!!!! you are freekin awesome Blair! Such an INSPIRATION!!! I want to try out some texas dumpster divin! Can I join your team? you gotta start doing blog swaps with me! i just did a swap where you send left over craft material, handmade goods, thrifted goods etc and the girl i swaped wtih put all teh stuff I sent her on her blog! Check it out. My junk went from one house to another and documented on BLOGSPOT! WOO HOO! sign up for my itty bitty swap, its about to start! and I want to do an embroidery swap!! Hmm...they don't have one listed. Boo.